Marshall men’s basketball looks to stay perfect as it prepares for road game at Western Kentucky on Monday. 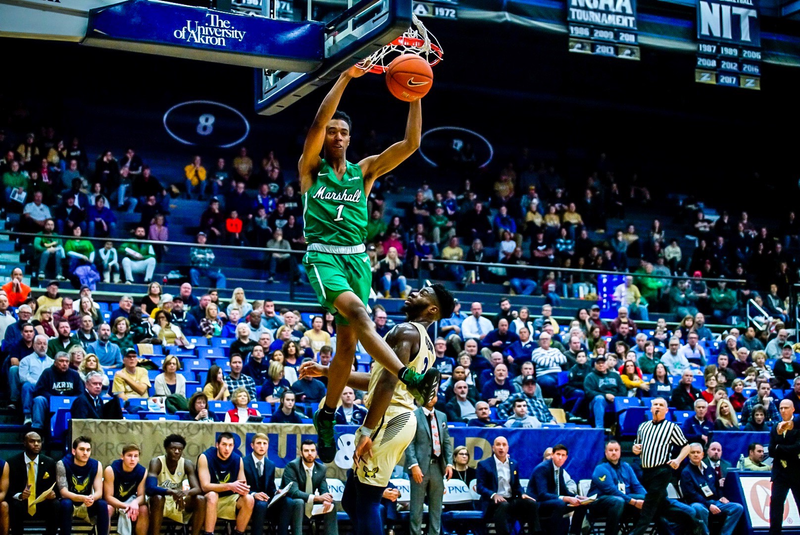 Marshall extended its win streak against Conference USA competition to nine games with the 105-97 victory on Saturday over FIU. Saturday’s game against FIU saw Marshall have five players in double-figure scoring for the second time this season. This is the second meeting of the year between the Hilltoppers and Thundering Herd. 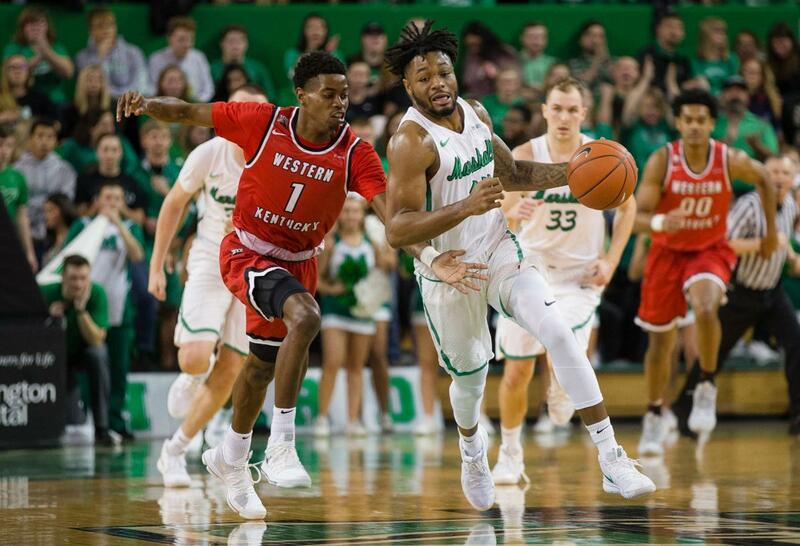 WKU led for nearly 34 minutes at Marshall, but Jannson Williams’ 3-pointer with 20 seconds left proved to be the winner for the Herd in a 70-69 victory in Huntington, W.Va. WKU was plagued by 18 turnovers and six second-half offensive rebounds by the Thundering Herd. Key Fantasy Player: Since entering the starting lineup, freshman G Taevion Kinsey is averaging a team-high 6.8 rebounds and is third in points with 15.2. While Elmore and Burks get the bulk of the statistical goodies, don’t underestimate the ability of Kinsey to get fantasy points on the cheap. Scouting Report: WKU had lost its last three games by a combined five points and held a lead of at least 15 points in each of those outings. The Hilltoppers had consecutive one-point losses for the first time since 1929-30. 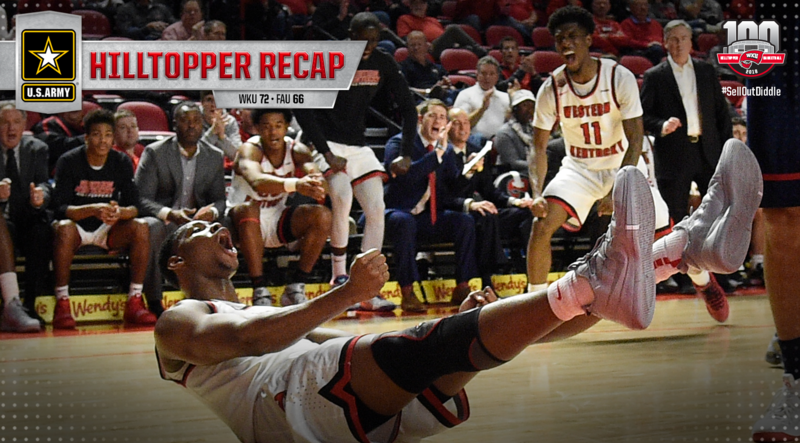 The Hilltoppers snapped that three-game losing streak Saturday with a 72-66 home victory over Florida Atlantic, a vital win that WKU desperately needed to stay relevant in the Conference USA title race. WKU started this season with 11 of 16 games away from home, its most over a 16-game span to start a season since 2002-03, when it also started with 11 of 16 away from home. They finished non-conference play with the 19th-best strength of schedule in the nation, according to the Sagarin Ratings, and the 33rd-best non-conference slate per Ken Pomeroy. Key Fantasy Player: Sophomore G Taveion Hollingsworth paved the way against FAU with 24 points, five rebounds, three steals and two assists, and the Hilltoppers are going to need him to be at his best in order to win this critical game against the Thundering Herd. If last Saturday was the week when Hollingsworth emerged as the leader of this team, you’ll want him today on your fantasy team, too.